In a word, we seek perfection. MACNAK Construction employs the best people and latest construction technology to help you build the most comfortable, energy efficient, eco-friendly and safest home or office at the same cost as traditional construction. From 2 bedroom nightly rentals to elaborate PNW dream estates , we've designed comfortable and livable homes for families of all shapes and sizes. 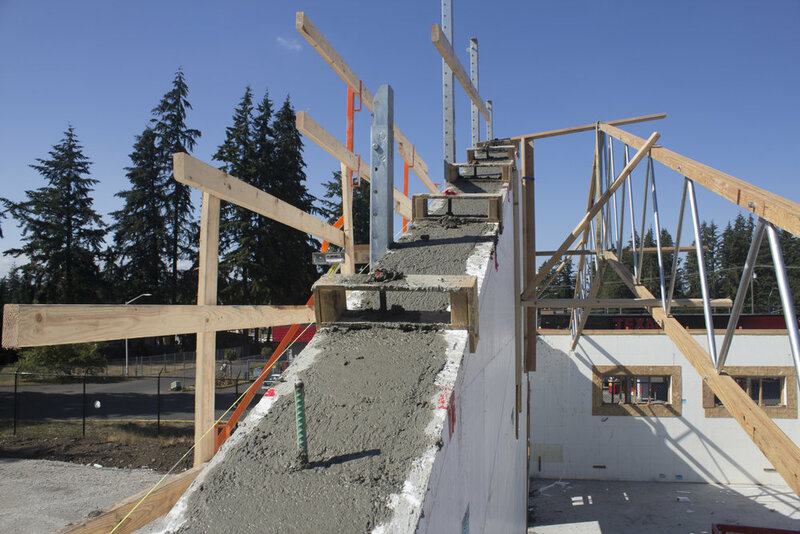 "MACNAK's insulated-concrete-form buildings kick convention to the curb"
We have extensive experience designing state of the art facilities using ICF (Insulated Concrete Forms) and the latest technological advances available in the construction industry. MACNAK Construction has won multiple awards including the most recent Puget Sound Business Journal Innovators Award in Real Estate/Construction. "The industry has not changed that much, despite these huge technological advancements in construction. We're bringing those advancements to our clients, and they're blown away by it." Insulated Concrete Forms (or ICFs) are forms or molds that have built‐in insulation for accepting reinforced concrete. 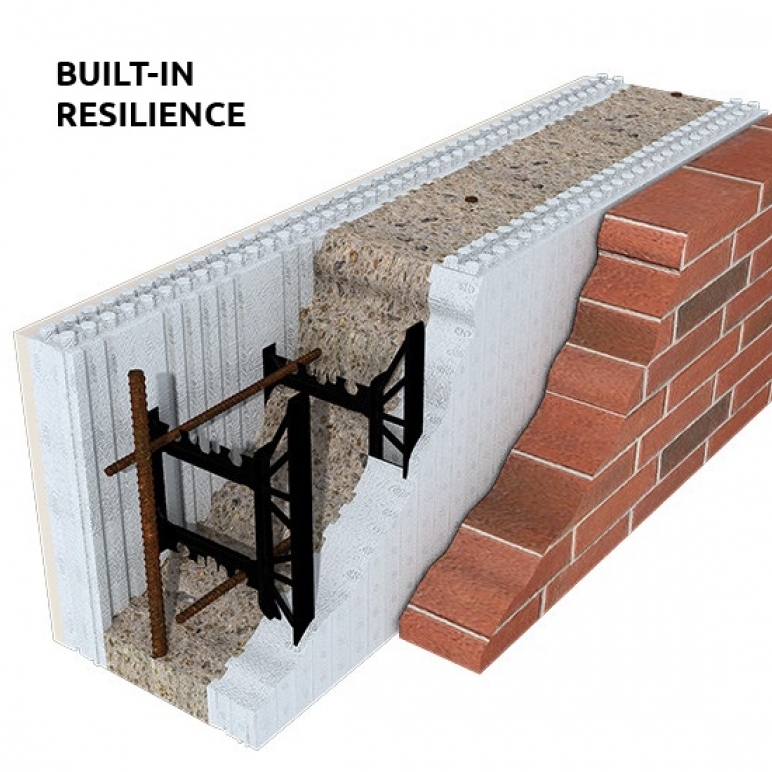 ICFs are hollow Styrofoam blocks which are stacked into the shape of the exterior walls of a building, reinforced with steel rebar, and then filled with concrete. ICF construction is compatible with virtually all home designs. Once built, ICF homes are indistinguishable from their traditionally framed counterparts. Since it is the structure material not the exterior finish, concrete homes are not limited in how they appear. MACNAK Construction is one of the few Pacific Northwest contractors who have experience with ICF. Financially, an ICF home or facility costs roughly the same as traditional stick-built buildings! directly to the ICF – brick, vinyl, stucco, stone, and wood. if you live in an area near train, planes, or freeways. MACNAK Construction is a Service Disabled Veteran Owned Small Business (SDVOSB), Native American Owned business specializing in general construction for Design-Build and Design-Bid-Build projects for private industry and Federal clients. 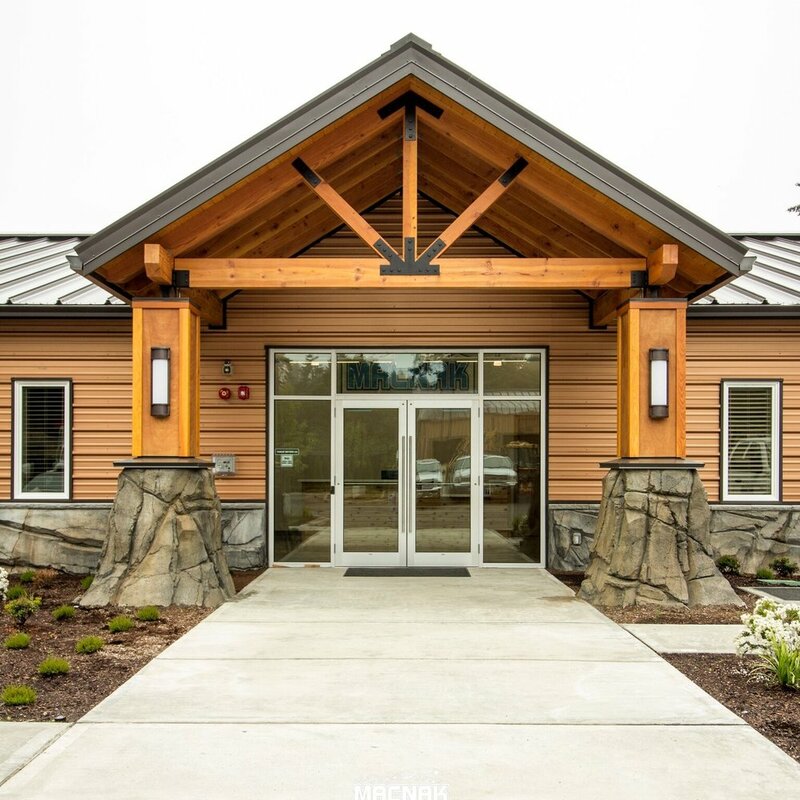 MACNAK Construction has executed over 500 Federal Contracts since 2007, executing 45 Design-Build projects ranging from $15k to $33M from Seattle, WA to New York. Our history includes a number of projects executed simultaneously across a diverse range of geographical locations including Washington, Alaska, Idaho, Montana, Colorado, Oregon, California, Nevada, Hawaii, Arizona and New York. MACNAK Construction prides itself in high quality, safety orientated and on-time delivery of projects and has completed hundreds of private contracts since we opened our doors in 2007. MACNAK Construction believes that through methodical preparation & organization, undaunted attention given to safety and risk mitigation, and constant & continuous communication we can produce the highest quality project. MACNAK Construction has been highlighted in INC Magazine, the Puget Sound Business Journal and US Builders Review. We have received numerous awards such as Puget Sound Business Journal 2018 Innovation Award for construction, INC’s 5000 Top Privately owned companies, Puget Sound Business Journal’s Top 10, and U. of Washington Business School’s “Rising Star”. 2007: MACNAK Construction was founded and specialized in concrete, framing/rough carpentry and light civil work. We were executing residential and light commercial construction projects in Central and Eastern Washington. 2008 and 2009: MACNAK Construction was a subcontractor to Engineering Remediation and Resources Group (ERRG) at Fairchild AFB; executing our first Federal construction projects. At the same time, we began to execute work as a prime contractor predominately for the Department of Agriculture and private development companies doing private and state commercial construction projects. 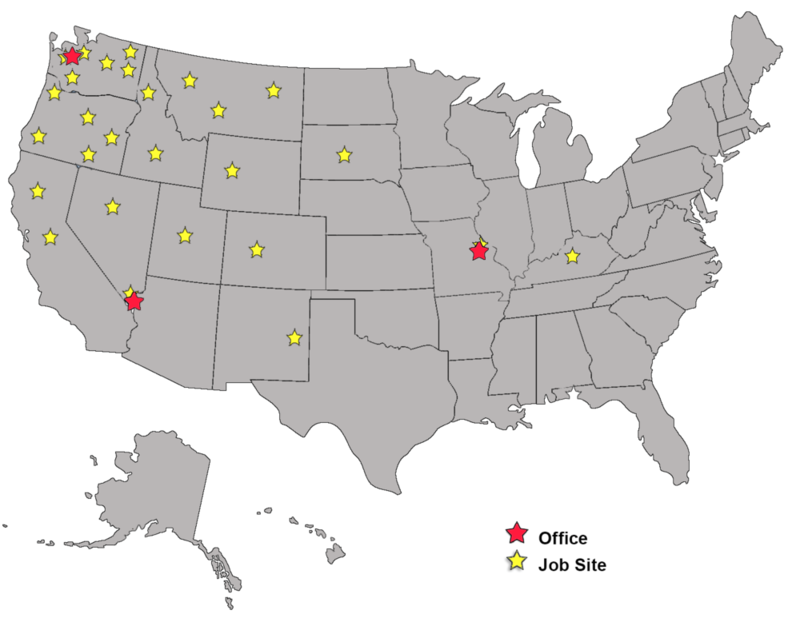 2009-2012: MACNAK Construction expanded operations across the west coast and east to Colorado and South Dakota. MACNAK Construction developed a niche as a Design-Build general contractor and refined our processes to self-perform on projects. 2011: Over the first 5 years of our company’s development, we executed over 200 Federal contracts with a significant number of Design-Build contracts for NAVFAC SW and the Department of Interior. MACNAK Construction begins to seek multi-year, multi-award, multi-state contracts after having proven ourselves in the federal arena and executing contracts simultaneously across the West coast and throughout the Pacific Northwest. 2012: MACNAK Construction is awarded the NAVFAC NW Small MACC with our Joint Venture Partner Saybr Contractors. 2013: MACNAK Construction is awarded the USACE Seattle District 8(a) NAVSUP SATOC with our Joint Venture Partner Saybr Contractors. 2015: MACNAK Construction is awarded the Joint Base Lewis-McChord Electrical Repair & Construction IDIQ our Joint Venture Partner Webb Electric. 2015: MACNAK Construction breaks ground on our new headquarters located in Lakewood, WA; just outside the Main Gate to Joint Base Lewis-McChord. 2016: MACNAK Construction is awarded the Joint Base Lewis-McChord JOC with our Joint Venture Partner Saybr Contractors. 2017: MACNAK Completes self-built new office in Lakewood, WA with ICF design and high efficiency. 2017: MACNAK brings military-grade building techniques to the general public, utilizing ICF technology for homes and commercial buildings.